"Carine, and her vision of French Vogue, embodies all that the world likes to think of as Parisian style: a sense of chic that's impeccable and sometimes idiosyncratic and which forever lives on a moonlit street as seen through the lens of Helmut Newton." --Anna Wintour Karl Lagerfeld once said that if you close your eyes and imagine the ideal French woman, it would be Carine Roitfeld. She is a fashion visionary and a muse. Since the start of her career in the early 1990s, through her collaborations with the legendary photographer Mario Testino, Roitfeld has been credited with launching Tom Ford's career at Gucci, as well as turning French Vogue into one of the industry's most worshipped magazines. This elegant volume is a visual history of Roitfeld's fearless career. A daring instigator, she is known for pushing the limits with her subversive styling ideas. Featuring a selection of 250 magazine tear sheets and covers from pivotal editorial shoots and advertising campaigns, as well as intimate visual ephemera, this book gives an inside view into Roitfeld's creative thought process and sensibility. A must-have for those interested in cutting-edge fashion and femininity, this book will empower women to follow Roitfeld's lead and take risks with their personal style. 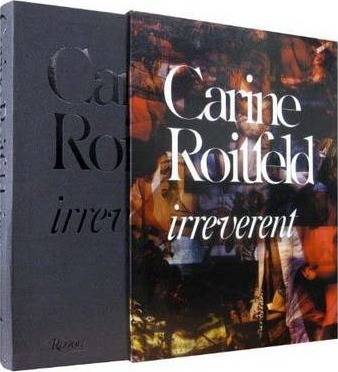 Carine Roitfeld is a legendary stylist and former editor in chief of French Vogue. Olivier Zahm is an art critic, renowned curator, and art director. He is the editor in chief of Purple Fashion. Alex Wiederin at Buero New York is creative director of Vogue Hommes International. His work in fashion, photography, and graphic design is highly acclaimed.